This document will detail the installation steps for Oracle TimesTen In-Memory Database on Windows systems. Visual Studio 2003, 2005 or 2008 needs to be install prior to TimesTen if you intend to use the TimesTen debug libraries. TimesTen can be downloaded from the Oracle Technology Network (OTN) in the TimesTen section of the Database Downloads. Once you uncompress the file double click setup.exe to start the installation. For this install we are going to install all of the components with the exception of the TimeTen Data Manager Debug Libraries. After selecting the option to install click the Next button to continue. 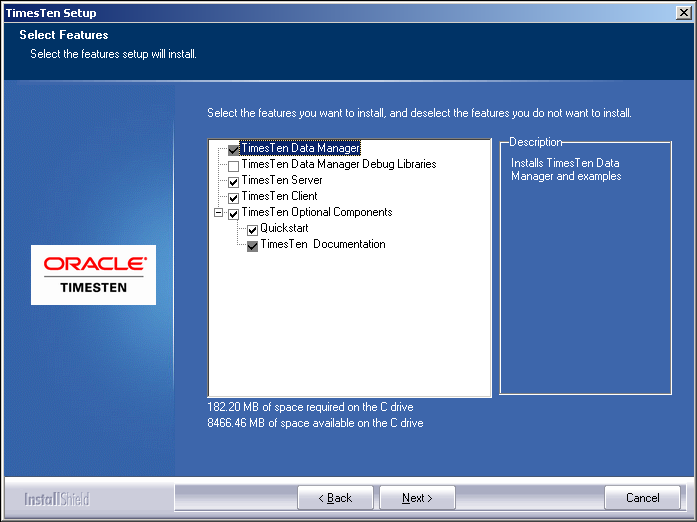 The installation process will create a Demo data store. 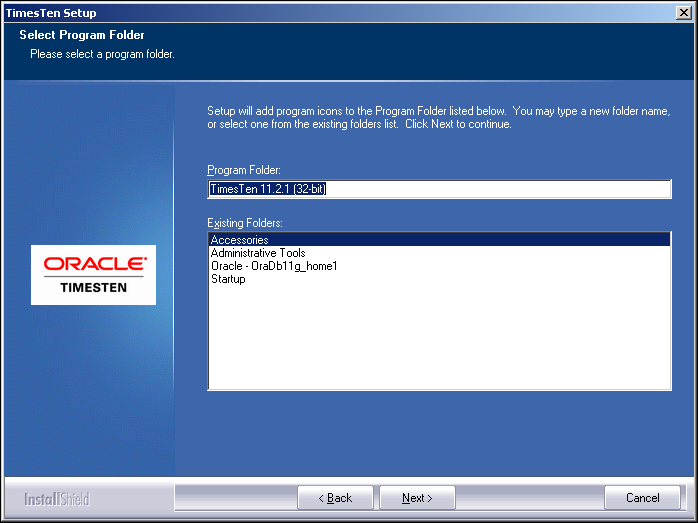 By default its location is set to the installation user’s Application Data directory. You can change this location using the Browse button. Once you have set the location click the Next button to continue. 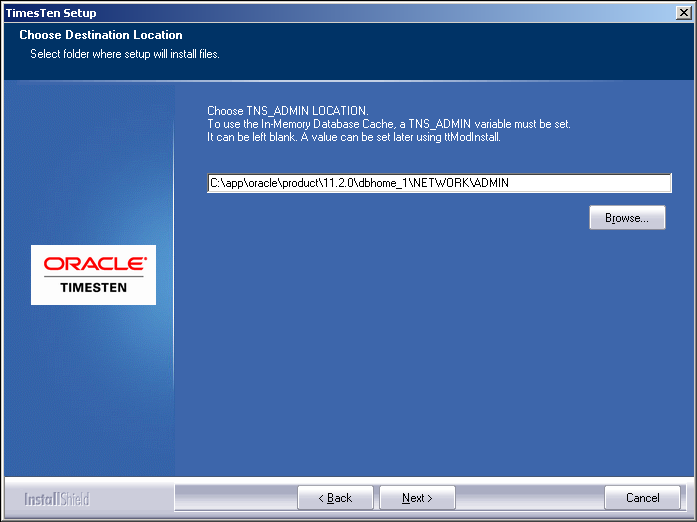 Next we set the TNS_ADMIN location. 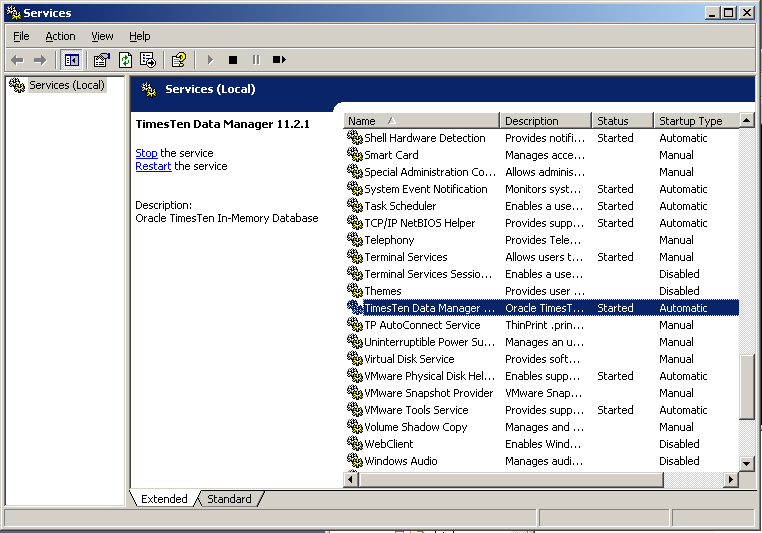 The TNS_ADMIN is required when using TimeTen In-Memory Database Cache for Oracle Databases. You can leave this blank for now and set it later using the ttModInstall utility. After setting the location click the Next button to continue. By default TimesTen databases and shared memory can only be read and written to by members of the TimesTen installation (Administrators group) group. This can be changed to allow anyone that is logged into the host machine but it is not recommended. Click the Next button continue. 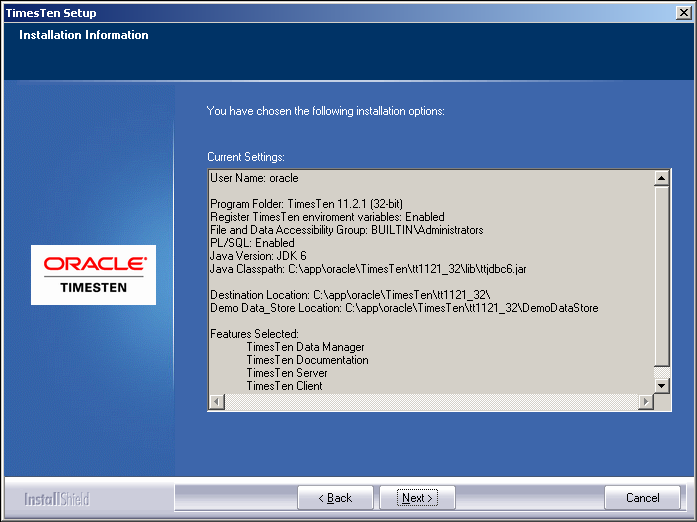 PL/SQL can be enabled during the install (default). Enabling PL/SQL can be deferred until after install if needed by using the ttModInstall utility. Click the Next button to continue. 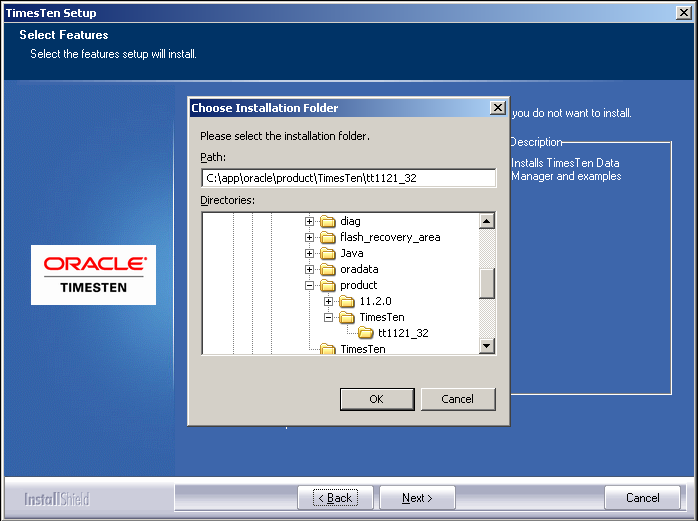 An installation progress screen will appear next detailing the installation of the selection components. Once the install is complete you can have the installer launch the Quick Start guide and or display the release notes. Click the Finish button to complete the install and exit the installer. Once the install is complete you should have a TimesTen Data Manager 11.2.1 service and it should be running. On the command line you can use the ttstatus utility to verify the status of the Data Manager. 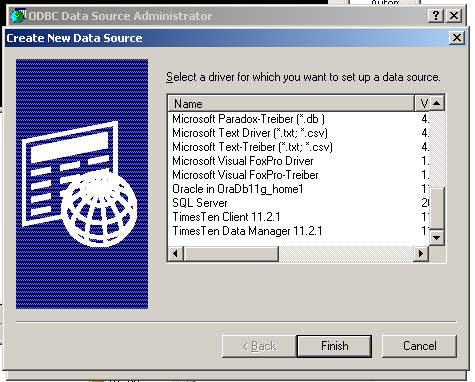 In the ODBC Data Source Administrator you should find both a TimesTen Client 11.2.1 and Data Manager Driver. I am glad you found the post helpful. Thank you for visiting the site.